We’ve heard some interesting rumors coming out of Dubai in the past. This one is a little less out of the norm, but still interesting. Flight attendant scheduling is a long and complicated process. Often, the seniormost flight attendants get the most favorable route assignments with the best compensation. In the world of flight attendants, these trips are incredibly valuable. Flight attendants generally have to work a specific number of hours each month. While 80 (or even 120) hours a month sounds like a great deal for a normal office job, flight attendants are only paid for the time spent in the air. That makes a hop from, say New York to Dubai, more lucrative than a short-haul from Dubai to Muscat. In some airlines, this has turned into a kind of bidding war. 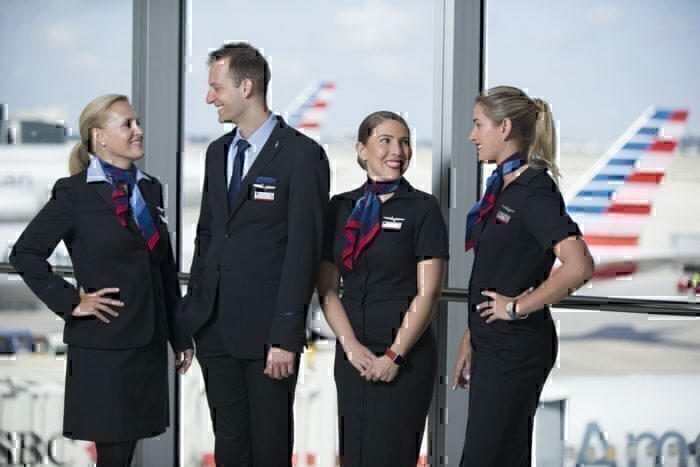 American Airlines recently started to try and end the process of senior flight attendants selling their lucrative trips to more junior members. Now Emirates is in the midst of such an issue. In most cases, flight attendant scheduling is done via an online portal. In some cases, staff get involved and start using their scheduling duties to their advantage. Reports say that the scheduling department at Emirates was rife with employees selling the best routes to the highest payer instead of assigning them based on seniority. There are reports of Emirates scheduling staff selling the most lucrative routes to flight attendants. According to these reports, recently, over half of the scheduling department was fired over these allegations. Many people might look at this and wonder what the issue is for Emirates here. The problem here comes with the premium class cabins– which is what Emirates is known for. Premium Cabins on lucrative routes, like New York-Dubai, are often filled with business travelers to tourists who paid for a better experience in the sky. In most cases, both of those types of passengers expect a level of service that matches the price of the ticket they paid for. In some cases, that can amount to a very large set of expectations. Flight attendants can make or break a flight in the premium cabin. The knowledge premium cabin flight attendants must have is astonishing. From meal services and the beverages that complement the entrees to the turndown service to passenger preferences, etc. etc. the list goes on! Generally, the most experienced flight attendants are able to offer the best service. 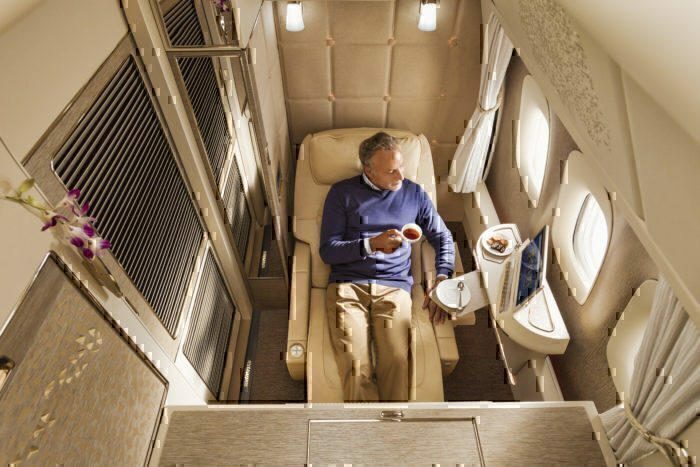 Emirates is widely known for their exceptional hard and soft products in their premium cabins. Having a less experienced flight attendant could make a difference in how passengers perceive the flight and the reputation Emirates has. Though not all junior flight attendants provide an inferior experience, it is a risk to Emirates that comes with this practice. Flight attendants can make flying an experience that is much more memorable and favorable in a passenger’s mind. It makes sense why Emirates would be disturbed by this practice. What do you think? Should senior flight attendants be able to sell their favorable routes to junior members? Let us know in the comments below! The reports on crew buying better rosters are untrue. Emirates flies to over 150 destinations and has a clear and unbiased system when it comes to rostering for cabin crew. There is flexibility in the rosters and crew can bid or swap for preferred flights, however this is practiced with a strict non-remuneration policy. With little carrer incentive for cabin crew these days and given the very poor way the Airlines tend to treat crew, (google poor treatment of emirates crew) and any perks that helps them should be embraced by the Airlines. I only travel in first on long hall and you certainly need the correct cabin crew for the pointed end of the aircraft. Premium customers do expect every aspect of there trip to be well organised and very comfortable which is fair enough given the VERY considerable ticket cost compared to economy. The Airlines should set a framework for the crews to work within ensuring that suitably qualified crew can purchase shifts from others but only if they are familure with the product and have worked in premium classes on a regular basis before. Emirates works very hard to ensure premium cabins have the correct cabin crew for the job. I believe you’ve been mislead by this blog post. The story presented as such judging from the title, the content itself as the real story is misleading. Its true there’s a scheduling scandal reported but this isn’t as a result of crew seniority or persons not wanting to Fly. Unlike Airlines in the US and Europe where seniority matters for the best trips, Emirates has a random scheduling process whereby both junior and senior crew members have thesame opportunity to travel to every destination on the EK network. There’s even a bidding process whereby crew get to bid for their preferred destinations monthly which can be granted or not based on operational reasons. Every cabin crew member serving with Emirates works in a dedicated cabin before which he/she receives the appropriate training to perform in that cabin. An economy class crew cant serve in the premium cabin if not promoted and haven received the appropriate training. Now the catch of the story is that some cabin crew have been paying in cash and kind in order to obtain their preferred destinations on their roasters monthly based on personal preference, roasters with better layover allowances, lower flight hours or higher flight hours or other reasons. This in itself is corrupt and doesnt promote fairness amongst all crew given that some persons will keep getting unwanted destinations while others enjoy the best routes, which is something Emirates firmly stands against as they stand for inclusiveness and diversity.